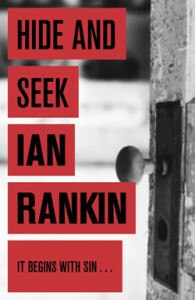 In Hide and Seek, the second book in the Inspector Rebus series, a young man is discovered dead from an apparent overdose in a shady part of Edinburgh. 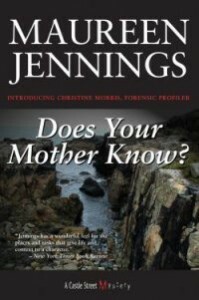 John Rebus takes on the case, but discovers troubling evidence that points to a murder: the body is found laid out cross-like between two candles, a five-pointed star has been drawn on the wall above, the body is covered in bruises, and an autopsy reveals that the drug used by the victim was laced with rat poison. At the same time, Rebus is enlisted by his boss, Detective Superintendent Watson, to participate in an anti-drug campaign. In this role, Rebus meets several successful businessmen who prove to be far from model citizens. 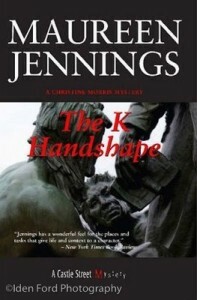 In Hide and Seek, Ian Rankin further develops the parallel with Dr. Jekyll and Mr. Hyde by Robert Louis Stevenson. We are also introduced to recurring characters in the series: Brian Holmes, the Detective Sergeant who helps Rebus solve the case, and Detective Superintendent Watson, their boss. 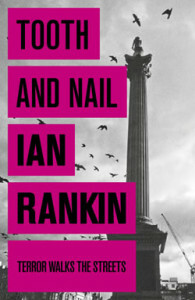 Rebus’ character is still deeply flawed, but he becomes more likable than in Knots & Crosses. Ian Rankin’s writing style has also evolved, and his dark humor is a welcome addition to the story. Ian Rankin lives in Edinburgh, close to Alexander McCall Smith and JK Rowling. When studying at the University of Edinburgh, the author wrote poems that were published in magazines. Ian Rankin lived in France for 6 years with his wife. His two sons, Jack and Kit, were born there.